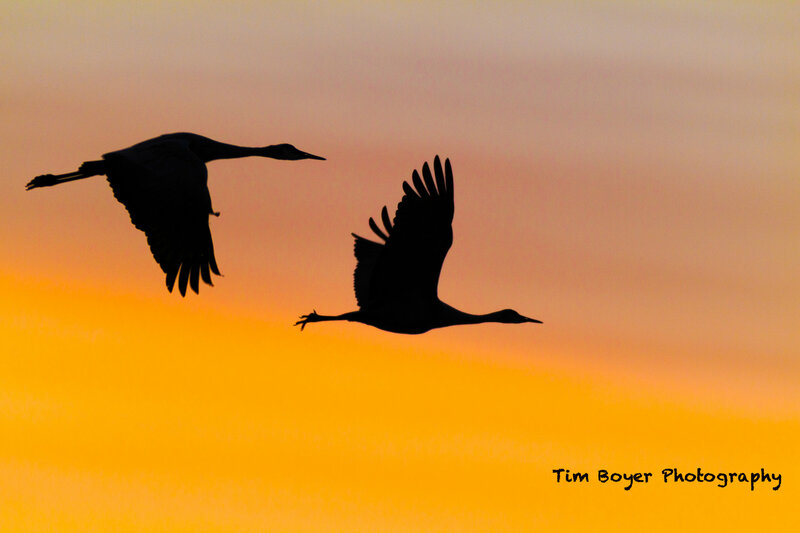 Editor's Note: This is a guest post by our friend and master bird photographer Tim Boyer. Silhouettes can be bold, striking, stunning images with intense color, and that dramatic feel to them can enhance your image collection and evoke feelings and emotions from your viewer. 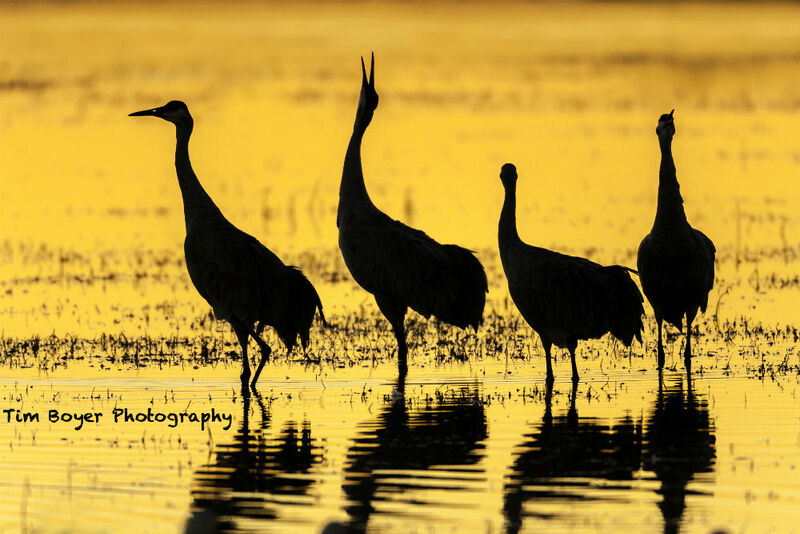 Creating silhouettes is the opposite of what you normally do in bird photography. Instead of pointing your shadow towards the birds with the light behind you, you put the light in front of you, and the bird between you and the light. This means your shadow is actually pointing away, 180-degrees away from the bird. With silhouettes, you want to make sure you have a clean background, free of any clutter or distracting elements. For bird photographers, we’re most likely shooting up into the sky, so the background will be open and clean. Also, start out with very distinct shapes, or move around to get the best point of view, so the images are clean and distinct. To get lots of color behind the bird, take your silhouettes during golden hour and up to half an hour after sunset, or half an hour before sunrise. Shooting early or late in the day adds color, so try for the bold colors of early morning or later evening. Learn more about understanding light in Chapter 3 in Learn the Art of Bird Photography. If you miss golden hour and sunrise or sunset, you can still make silhouettes in the middle of the day, but think in black and white. Another trick is to make sure your flash is off or doesn’t fire. If the flash fires, you would have a silhouette but the blacks in the silhouette wouldn't be very black, they’ll be gray. For black and white images, in post processing I increase the highlights so the background is brighter and decrease the black so they are a darker. The more contrast there is between the background and the bird, the more striking the image will look. 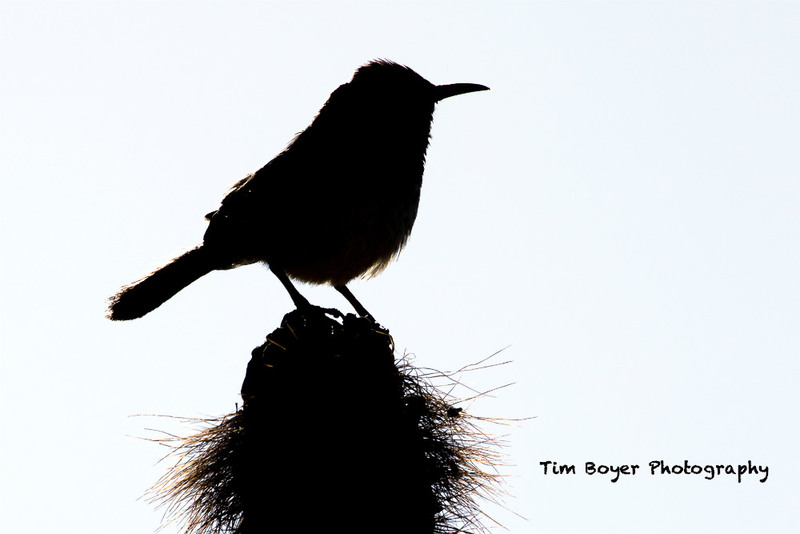 To create images like the one above, consider taking my SE Arizona Bird Photography Workshop. Sign up here. Regardless of the time of day you’re taking your silhouette images, underexpose a stop or two so the blacks in the silhouette are deep blacks. By underexposing the image, you will also make the background sky color more intense and saturated, which will make the image more stunning. A word of caution here: Do not look at the sun though you camera and lens. If you’re making your silhouette and the birds are close to the sun, use Live View and protect your eyes. Live View works great for any sunset or sunrise shooting. Most of the time you will not want the sun in your image anyway. It’s so bright that it will blow out the other colors in the image. For the best color, I shoot my silhouettes about 15 degrees off to either side of the sun. I find the colors are more intensely saturated at those angles. Take in the view of a typical day of birding at Bosque del Apache in the video above. Even when shooting silhouettes, it’s still important to try to capture action and behavior. In this situation, I could have used flash and risked scaring the birds away. 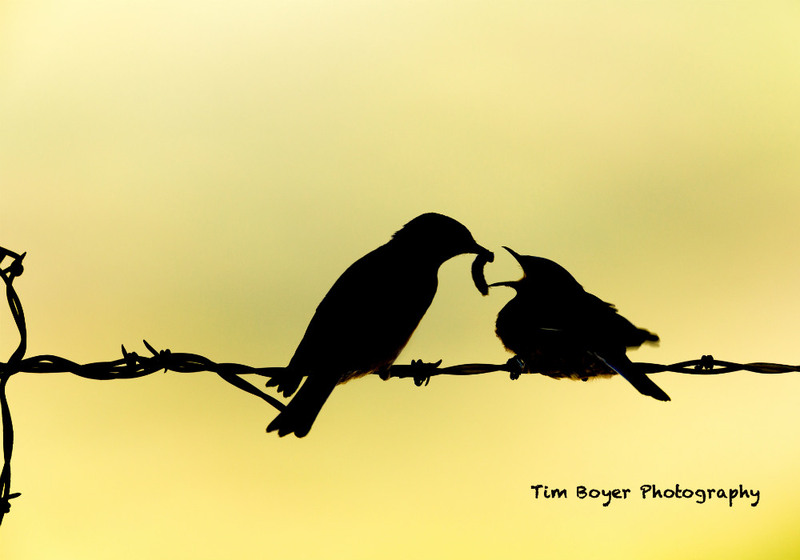 A better option was to underexpose and create a silhouette that illustrates the parental bond between parent and dependent chick. Once the sun has gone down, you can still do silhouettes. However, in this case, think pan blurs with a slow shutter speed. 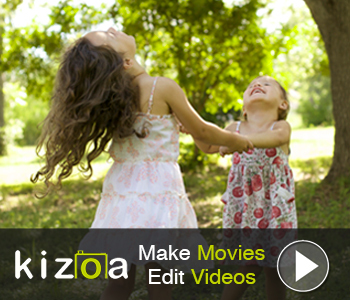 Pan your camera along with the birds as they fly by, but set your camera up so it has a slow shutter speed. 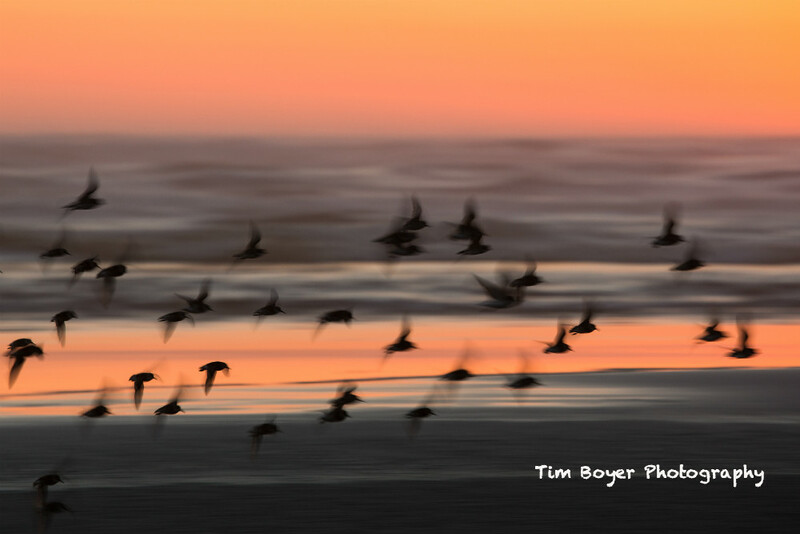 The image above of Western Sandpipers at sunset was taken with the camera at 1/40 of a second, f/8 and ISO 100. I lowered the ISO so I would have a slow shutter speed. Making bird photography silhouettes can unleash a really creative side in us and add a new dimension to our bird photography. Editor's Note: If you want to learn more valuable lessons about bird photography, Tim has just released a new book, Learn the Art of Bird Photography. It's a comprehensive guide that takes you step-by-step through every facet of photographing birds, from planning your shoots to processing your images and everything in between.